So I’m angry at some stuff that’s been going on. 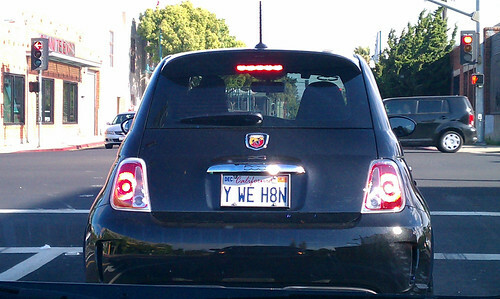 I have been trying to figure out what to do with this anger, because, as this wonderful license plate asks, should we really be spreading our anger all over the place? What can we do with it so that it doesn’t poison us and the people around us? Here’s what I came up with…I hope that it’s still blog-presentable despite it’s somewhat inappropriate content!! 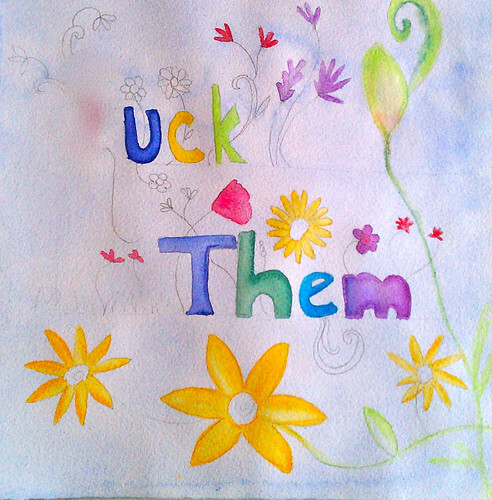 I decided to paint a pretty garden with my anger. Kind of makes me laugh! 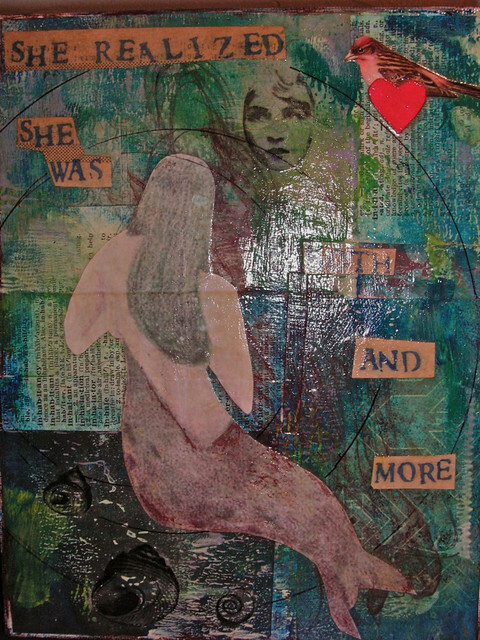 So this is a mixed-media piece that I created several years ago. Sorry for the glare on the photo. FH is a member of our wonderful local art collective, ArtJam, at Rhythmix Cultural Center in Alameda. They had a group show on Friday night–the theme was “The Life Aquatic.” So I slipped this little piece in…and then, of course, I worried about it. Was I crashing the show? 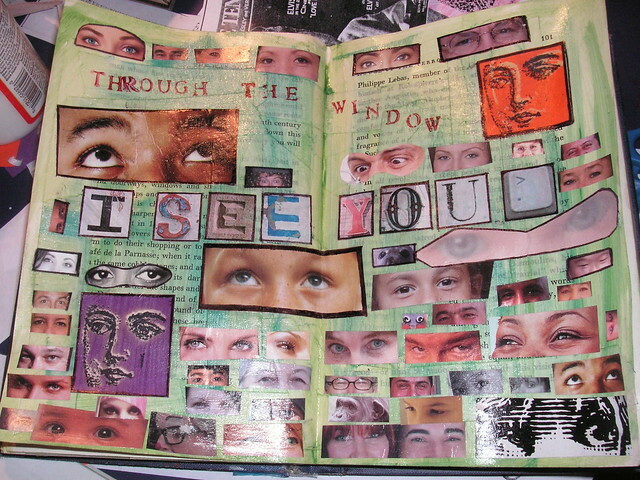 Was I a “real” artist? Anyway…it turned out that my piece was the only one in the show that sold that night! I couldn’t believe it. FH priced it quite high. I am in shock. My art sold! I’ve sold jewelry before, but not art. This spins everything around…as I try to find my way to a life path that is easier than public school teaching, this seemed like a little wink from the universe.